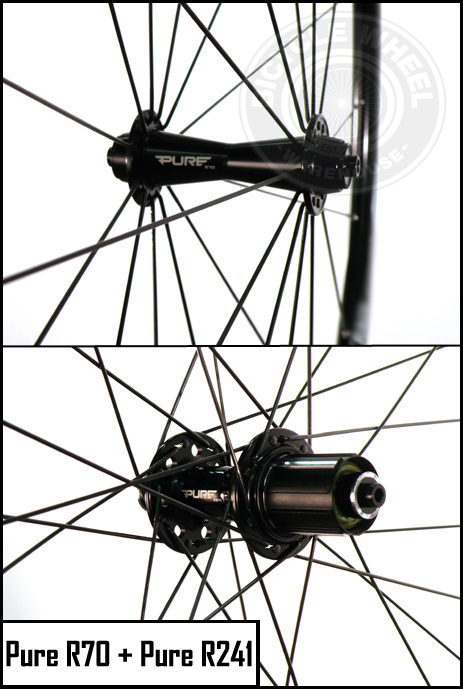 The sealed bearing front Bicycle Wheel Warehouse Road R70 hub is ultra light, about 71g. 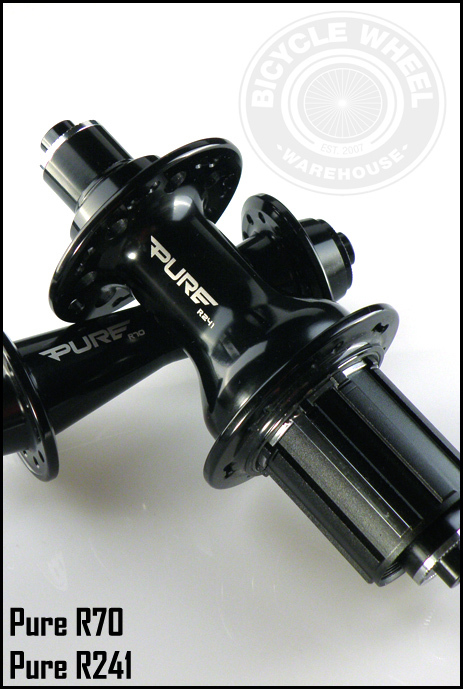 These hubs employ the use of high quality Japanese sealed cartridge bearings. The hub flanges have a large distance between them, creating a pronounced spoke bracing angle to the rim, helping "stiffen" the front wheel laterally. The rear R241 cassette hub is exceptionally light, at 241g, and features an advanced aluminum alloy outer hub shell with a steel inner body, for weight savings and strength. The cassette free hub body engages via a double 3 point pawl mechanism, (compared to the standard 2 or 3), which creates a fast, secure feel every time torque is applied through the pedals. The rear free hub body is easy to remove, in case you want to clean and regrease the internals, and offers Campy compatibility with the separate purchase of a Campy free hub. The Shimano freehub includes three stainless splines on the leading edges to prevent cassette bite, making cassette swaps a breeze. *Includes a light weight alloy front and rear matching QR lever.